San Francisco (Obama.net)- The topic of immigration has been a major issue in the politics of the United States of America for decades, especially in the past ten years. 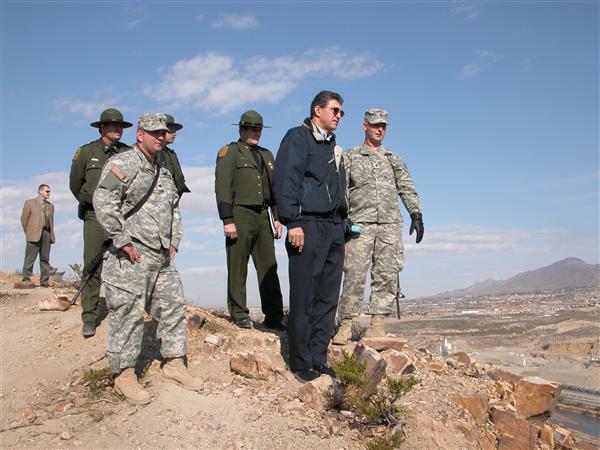 Many have criticized how the American government has gone about protecting the border between the United States and Mexico. Some want there to be a giant wall along the border, while other simply want there to be more security forces to keep the border safe. Despite being on summer break, members of Congress returned for the week in order to vote on some major issues. One of which was a bill that would provide six hundred million dollars to fund security along the border. The United States House of Representatives had already passed the measure before Thursday. And on Thursday, the United States Senate passed the bill as well. The bill passed with a unanimous vote. This serves as a positive note that bipartisan support is in fact possible in today’s political world. The next step in the bill process requires President Barack Obama to sign the bill and put it into action. The new bill would fund approximately 1,500 new security persons, new operating bases, new equipment to provide better communication between agents, and new aerial vehicles. The bill would be funded by raising taxes on corporations that tax advantage of bringing foreign men and women into America to work for them. As Arizona Governor Jan Brewer is attempting to kill out immigration into her state, the new bill would help her agenda. While Brewer’s laws are taking care of the immigration issue in a way, they are also seen as highly overreaching into the private, personal lives of American citizens. Obama’s alternative would not only take care of the issue, but also bring money into the state via the registration fees, fines, and taxes that the illegal immigrants would have to pay in order to go through the process of becoming a citizen. Obama, who has already deported more illegal immigrants in the last year than former President Bush did in any year, is expected to support the new bill in order to protect the border and limit the illegal immigration problem.